· If food is shared in church in other ways – coffee and biscuits after church, for example – be aware of it. What do you think it adds to your experience of worship? · Pray for those who prepare and serve the refreshments after the service. This is the last of our Lent reflections. I hope you have enjoyed them and found them helpful. The story of the feeding of the 5000 depends on one small boy who offers his lunch of fish and bread. From his act of generosity comes food enough to more than satisfy the crowd. Imagine yourself in this scene. See it as vividly as you can. · Where are you in the scene – in the middle of the crowd, near Jesus, near the boy ? Perhaps it is your basket of food that will be shared or perhaps you are one of the disciples who will share it out? · Imagine receiving the bread and fish from Jesus’ disciples. Imagine eating it. What does it taste like to you, at the end of a long, hungry day? · What do you want to say to Jesus, to the boy, to those who sit around you in response to this miracle? · What mentions of food can you find in the news today – hunger, obesity, food production or sale, for example? · Pray for those affected by the stories you have noticed. · Will you eat with someone else today – at home or at work? If not, could you invite someone to share some food with you today or in the near future, even if it is only having a coffee with someone? What does it feel like to eat with others? Why is it so important to us? · Will you see someone today who is hungry and needs food? Could you ask them what they would like and buy it for them? Alternatively, could you give some food to the foodbank (there’s a collection point for tins and packets at the back of church)? • How do you eat in your house? At the table? In front of the TV? Talking? In silence? What are meals like? Are they happy occasions or battlegrounds? • What is your relationship to the food you eat? Are you trying to lose weight, or gain it? Do you feel you eat healthily or not? Why do you feel as you do about food? Do you need to make some changes, if so, what are you going to do about it? • Do you say grace before meals? If not, consider at least taking a moment before you eat to give thanks silently. Try to be aware of the taste of the food you eat today. All our food ultimately comes from the world around us, however much it is processed on the way from field to plate. · Take a walk or sit outside. What can you see that is, or will be, edible? Pray for those who produce our food. · Can you see any other creatures feeding as you walk or sit outside? Birds, insects, worms, slugs? · What can you find in the church which feels good to touch – maybe there is a statue or carving which is good to run your fingers over? · What does the church feel like physically? What textures and shapes are there? · What does it feel like to sit, to stand and to kneel, if you are able, in the church? How does our posture affect the way we feel and pray? · If you have come to church for a service, what physical contact do you have with others there? How do you feel about sharing the Peace – do you love it, hate it, or find it difficult but important to do? “I will wipe every tear from their eyes”. Imagine this scene. You can’t wipe tears from someone’s eyes without touching them. · Imagine God wiping tears from your eyes. · What does it feel like to be touched by God like this? · As you watch/listen to/read the news today think about the physical sensations those in the news are experiencing. Are the people you see in pain, cold , wet or hungry, or are they pampered and comfortable ? · Are there people in the news who have been touched in ways that have hurt them? · Are there people who have helped or comforted others? · Pray for those you see. · Who touches you and who are you touched by in your daily life? · Are you a “touchy-feely” person, or do you prefer not to be touched too much? Why do you think you feel the way you do about touch? · Be aware today of those you touch and those who touch you. How do you feel about their touch – is it welcome or unwelcome. If no one does, is this a problem for you? · How do others know whether you welcome touch or not? How do you know whether they welcome touch or not? Stop Press : there's a really interesting article on touch here. · Do you consider your home to be comfortable? What makes a home comfortable? · Are there any parts of it that don’t feel comfortable? What can you do about that? · Do you have anything in your home which you treasure mainly because of its texture? · If you have been creating a prayer or reflective space, is there something you can put here which would be good to hold? Go for a walk or spend some time outdoors. • What does the ground feel like under your feet? Can you tell what kind of surface you are standing on just by feel? • Is it warm or cold, windy or still? Be aware of the sensations on your skin as you stand or walk. • Give thanks for what you feel. 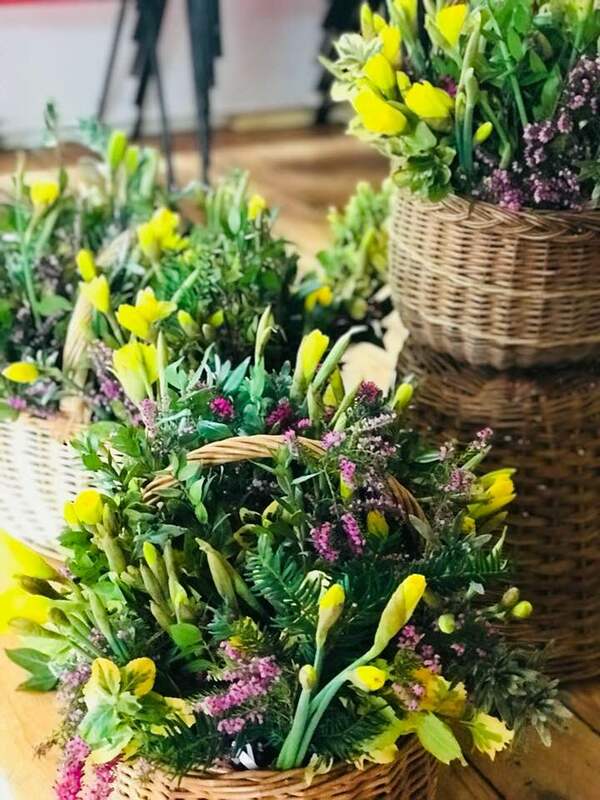 We had a good crowd for Mothering Sunday today, and talked about some of the worries we have for our children, and the worries that the children have for themselves. It's not just parents who worry about their children, but also grandparents, godparents, aunts, uncles, friends... we can all think of children whose futures we care about. were worried about them. They lived in a land which was occupied by the Romans, where there was no modern medicine, and no welfare state, so they had even more to worry about than we do. They recognised that the most important thing they needed to do was to bring their children to Jesus for him to bless and pray for them. Despite all the advances there have been, which help to keep our children safe, we still can't protect them from everything, and there are new worries now that didn't exist then - climate change, the challenges of technology and so on. No one has a magic wand to take all our worries for the future of our children away, but there are ways we can help them to be resilient and joyful no matter what happens. Helping them to be aware of the presence of God is part of this. In the Old Testament reading we heard today we heard about ways in which the Israelites were told they could help to remind their children of God's love for them, day by day. I gave out a leaflet with some ideas for nurturing faith with children at the end of the service. It is here if you'd like a copy. I also gave out a bookmark with a link to the suggestions from Faith5 - a simple way of praying with children. After Communion the choir sang "Day by Day" by Martin How, based on a prayer of St Richard of Chichester. You can listen to our recording of it here. We lit candles for mothers, carers and children, whether they were still with us or not, and for those who wanted to be mothers but hadn't been able to have children. 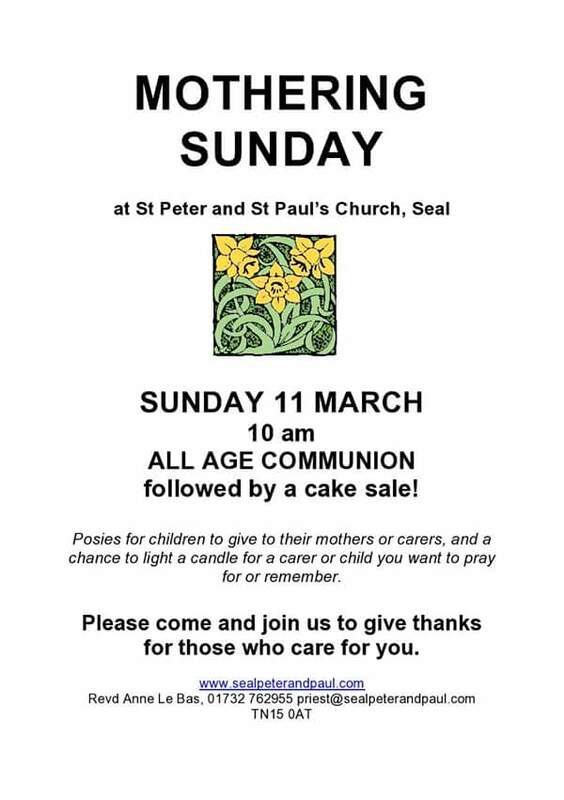 Come and join us for Mothering Sunday tomorrow. Spend some time in church over the weekend, either at a service or on your own. Churches often have a distinctive smell. Some might smell of incense or candles. Others might smell of damp or furniture polish or flowers. · What does the church you are in smell of? · How do you feel about using incense in worship? The smoke is meant to remind us of our prayers ascending to heaven? · Why do you like or not like it? 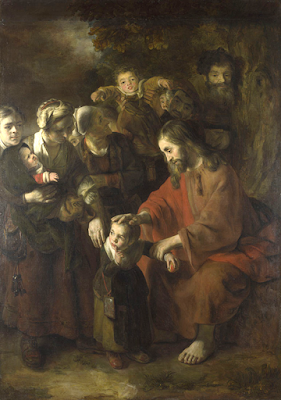 · Scented “oil of chrism” is used at baptisms, the same oil as is used at coronations and ordinations, times when people are given new jobs to do. The smell of the oil is supposed to remind them, and others who smell it, of the ministry they will have spreading out into the world. What impact do you think your life has on those around you? Jacob has tricked his twin brother Esau out of the blessing which is his birthright as the marginally older son. (See Gen 25.29- 34). As Isaac lies dying, Jacob, egged on by his mother, pretends to be Esau and asks his father to bless him. Isaac, who is blind by this stage, is not sure whether it really is Esau until he smells the goatskin which Jacob has put on (Esau, a hunter, and obviously usually smelled pretty ripe!) This is what convinces Isaac. Jacob gets the blessing instead of Esau, a deceit which leads to all sorts of trouble in the future. · Imagine yourself in this story. Are you one of the main characters, or standing on the sidelines watching? What do you do? · Have you ever been deceived badly, or deceived someone else badly. How did it feel? Have you ever thought that something smelled “fishy”, but haven’t immediately been able to prove it? No one has yet invented “smellyvision”, as far as I know, so we can only use our imagination as we think about smell and the news! · As you read/ watch the news today, imagine what those in it are smelling – the smell of explosives, of fire, of sickness, of poverty, perhaps. · Are there times when you have been unable to escape a stench which you hate? · Pray for those who have to live or work in smelly places, like those who eke out a living on and around rubbish dumps. · We pray “Thy kingdom come on earth as it is in heaven” – what do you think heaven smells like, and how can we make earth smell like that? People smell different from one another. After a bereavement it is very common for people to want to hold or sleep with an item of clothing that their loved one wore, and babies who need to be cared for in incubators are sometimes given blankets which their mothers have worn next to their skin because the familiar smell soothes them. · Are there perfumes or specific smells which remind you of people you have known in the past –a perfume, or a smell associated with their work, perhaps? · Homelessness, poverty or illness may make it difficult for people to keep themselves clean. Pray for those who feel stigmatised or shunned because of their smell. What might help them? · What does your home smell like? Do you like its smell? · Are there particular smells which say “home” to you? · Do you use air fresheners, and scented cleaning products or do you prefer not to? · How sensitive are you to the smell of your home, or do you not notice it? 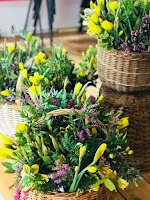 · If you have identified a “prayer place” in your home (see Tuesday week one) could you add a scented candle to it, or arrange some scented plant or cut flowers to it? Go for a walk around your neighbourhood or sit somewhere quietly. · What does it smell like where you are? · If you are walking around, do the smells give you a clue as to where you are? Could you create a “smell map” of the area? (For example, Tyrell’s fencing company in Seal smells wonderfully of wood as you walk past!) Pray for the places you pass. · Do the smells around you tell you anything about the time of day or season of the year? · What smells do you look forward to during the year? · If you were (or are) unable to smell, what impact might that have on your daily life? 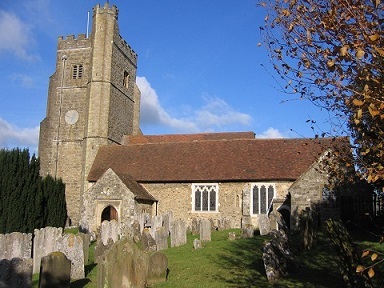 · If you are in a service of worship, what sounds do you hear that tell you that this is a special occasion in a special place – music, words that you wouldn’t hear in other settings, bells etc. How do these things help you to listen for the voice of God? If you are in church on your own, how is the church building helping you to be still and listen to God? · If you are in a service, be aware of those around you, singing, speaking, chatting before and after the service, children playing. Give thanks for them. · Are there noises which distract you and make it harder to listen? A couple of bits of news related to the weather! The trip to the National Gallery, due to take place tomorrow, has been postponed. Apart from the problems some of those going would have had getting to the station, the trains are also rather uncertain, with services being cancelled or delayed, so it seemed wise for us to put this trip off. It will be rescheduled for later in the month, either on 10th, 17th or 24th March - date to be decided by this Sunday. If you couldn't come this Saturday, you might be able to sign up for the new date, so keep your eyes open for it, and let me know if you'd like to come. 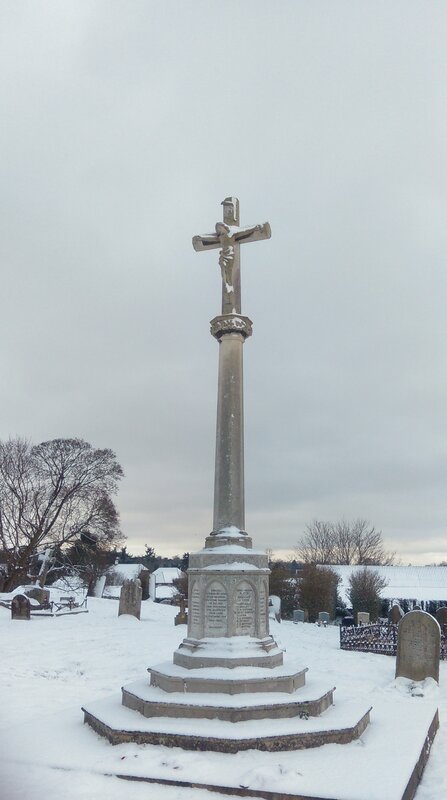 The other news is that we are having problems with the church heating, (long story, but not any fault of ours! We hope it will be fixed early next week) so we will hold our 10 am service in the CHURCH HALL this Sunday. That way we can be sure of being warm and comfortable - there are also toilets and a kitchen on hand, so it will be easier all round! Fortunately, God is everywhere, and will have no trouble finding us in the church hall, so I am sure our worship will be as uplifting as it normally is , even if it is a little different! Perhaps it is fortunate that the baptism which had been scheduled for Sunday has been postponed (the weather again! ), so it will be our normal service of Holy Communion. There will also be Sunday School in the vicarage, as usual on the first Sunday of the month. If you have a child who would like to come along to Sunday School, Babs will be in the vicarage from about 9.50am to welcome them. They always have a lovely time, and newcomers are welcome. Parents are welcome to stay with them, or to leave them if they are of school age. Babs and her team will bring them to join the rest of the congregation part way through the service. Our evening service of Compline will also take place in the hall at 6.30pm. Please pass on this news to anyone you know who doesn't "do" email and might need to know. I will obviously put up signs on the church gates on Sunday re-directing people to the hall. Like the rest of you, I expect, I am looking forward to things getting back to something passing for "normal", but in the meantime, I hope you are managing to stay warm and safe, and enjoying the beauty and fun of the snow if you can. 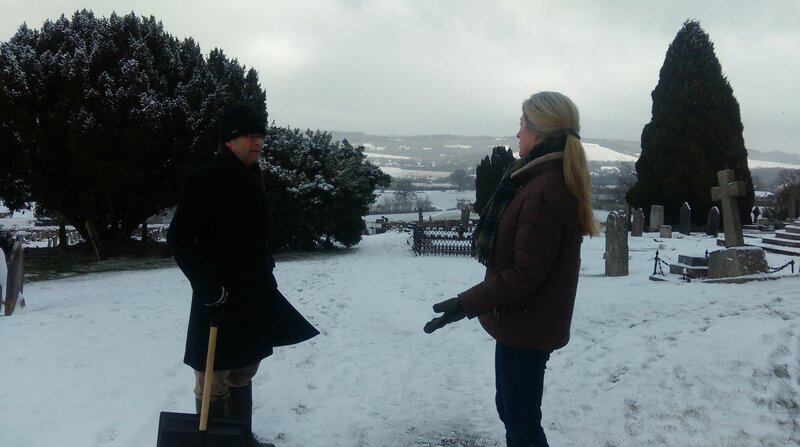 I would also like to put on record my great gratitude both to Philip, who has been labouring faithfully to keep the church path clear of snow and ice, and to Gesiena, who has been working tirelessly to deal with the heating problems. Imagine yourself in this scene as one of Jesus’ disciples. · How far from Jesus are you? · How do you feel as the story unfolds? What are Jesus, Moses and Elijah talking about? ? · What does God’s voice sound like? What is his tone of voice when he tells you to “listen to him”? Watch or listen to the news today. Whose voices seem loudest in the stories you hear? Whose voices seem to be missing, and why is this? Who are we not hearing? (for example is a disproportionate amount of time spent on those who have power rather than those who do not?